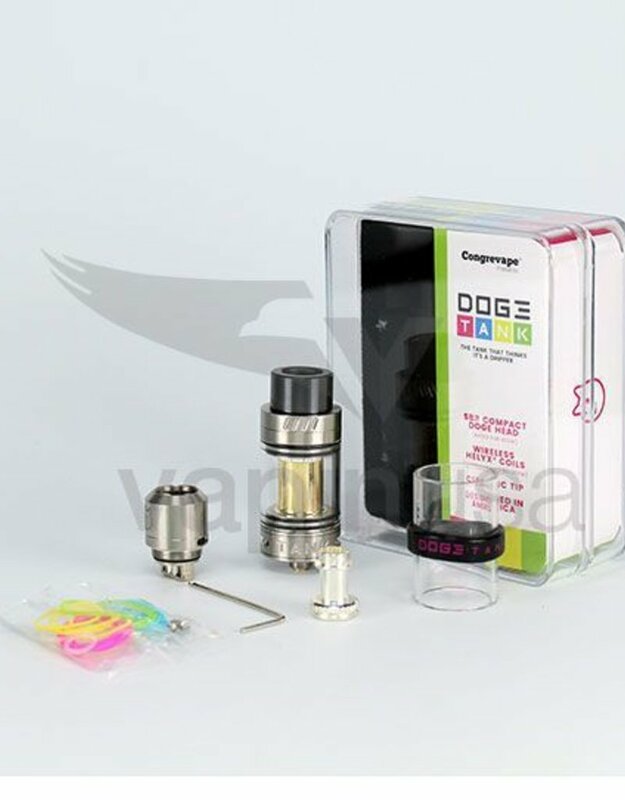 Dogetank is a 22mm Sub-Ohm Tank which can be used with either its innovative wireless HELYX® coils or with the powerful SBR Compact DOGE head. 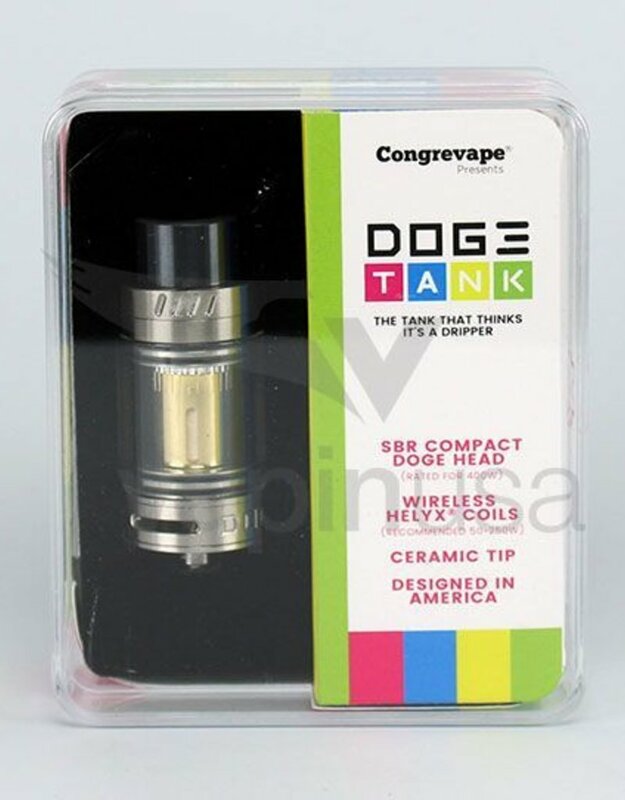 From its advanced CvTipSys® Ceramic tip, through the easiest to use top-fill system down to its huge Doge style airflow slots which can be precisely dialed in for flavor or wide open for competition level performance. Available in 3 stunning colors; Jet Black, Satin Steel & Gun Grey - a subtle yet sophisticated design - a whole bunch of bright and fun O-Rings & bands - high-tech materials such Ceramic, Gunmetal Steel, and Gold. HELYX® is a completely wireless coil which offers significant benefits in safety and ease of use compared to traditional coils. Modeled to replicate DNA, HELYX® allows balanced heat production, removing heat spots and burning, resulting in smoother flavor while also removing the need for solder. 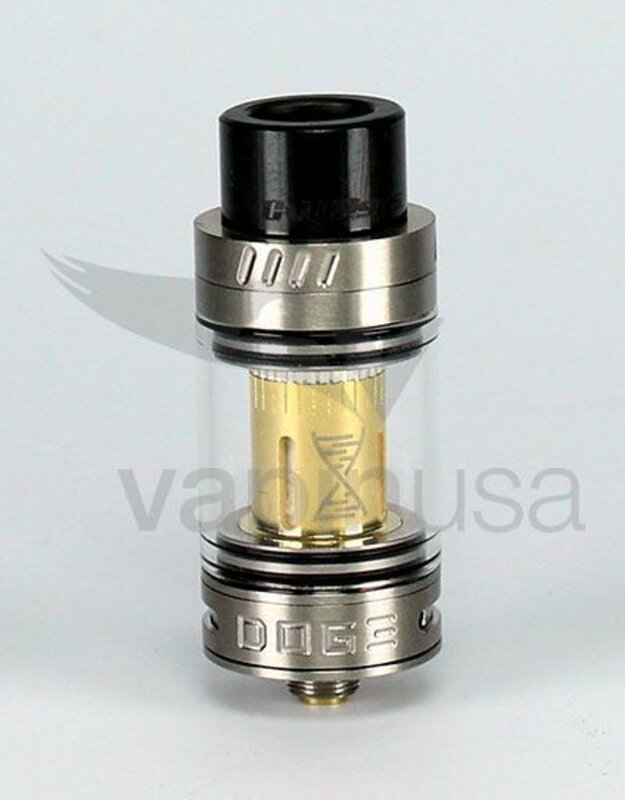 This means the coils are 100% food grade stainless steel. 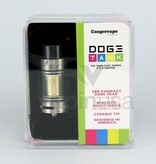 The Gold plated HELYX® used in Dogetank are 0.2ohms and are recommended to be used around 50 - 120 watts. 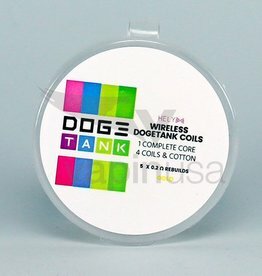 They are leak resistant, inexpensive, and easy to replace. 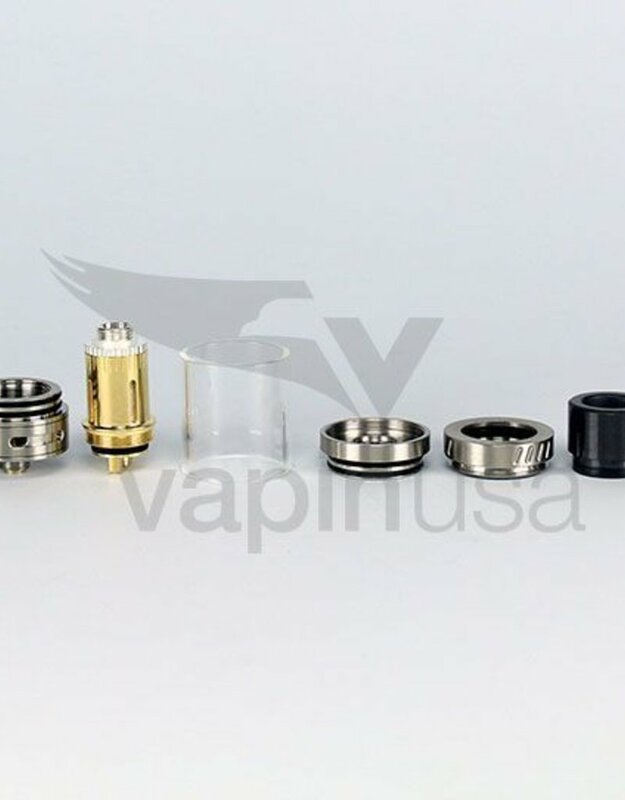 The HELYX® coil disassembles with no tools, and can be good as new with fresh cotton and soap and water. Rebuilding is easy, since there are no wires to re-attach, or lead solder joints that break down. 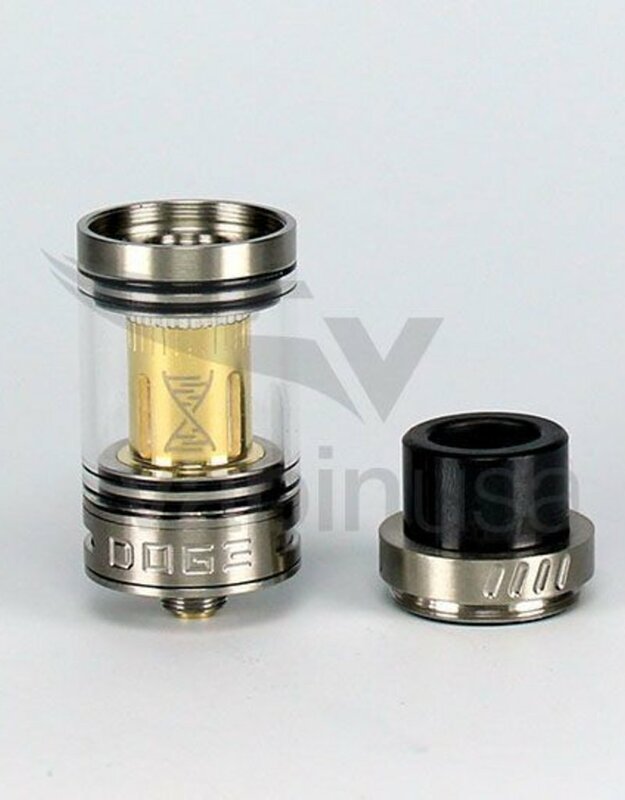 Replacement coils are offered in a kit that comes with one complete HELYX® coil in Gold plated body, with 4 additional pure HELYX® coils. 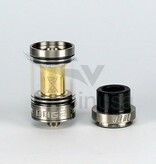 This ensures you can continue to have fresh coils for a long time to come. 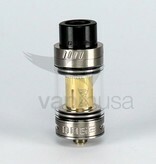 The cost of a 5 pack of replacement coils is also 50% less than other sub-ohm tank coils.